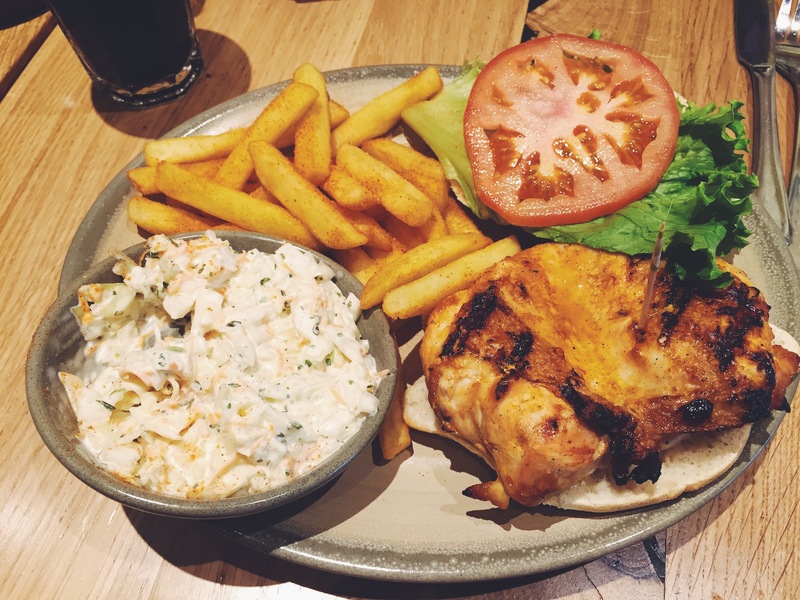 As hunger was drawing closer and closer upon my girlfriend and I, with three high chain restaurants sitting in the corner of our eyes, Nando’s was the majority vote. With the menu placed infront of me, my eyes obviously veered to the selection of burgers. Understandably there wasn’t a wide selection to choose from, what else are they meant to do with chicken? So deciding and paying was the painless part, waiting in anticipation was the difficulty, as usual. The burger arrived with two sides, chips with Peri Peri spice and coleslaw, which was planned to be shared between my girlfriend and I, also the presentation of the meal was not in anyway underwhelming, beautiful. 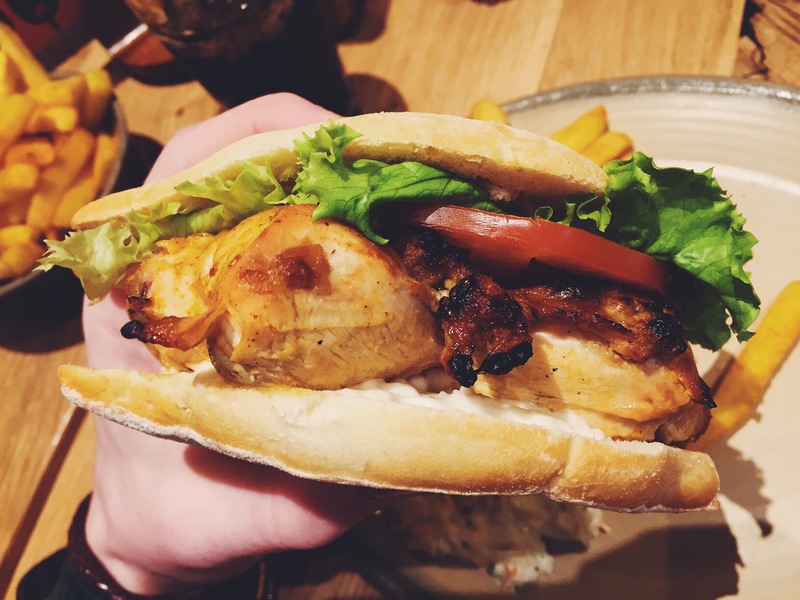 The big double breast of chicken came packed in a Portuguese roll, which I wasn’t hugely fond of due to its rough & hard consistancy also it’s lack of capability to keep all of the counterparts together while eating it. All together the burger was delicious, very filling but they warn you of this on the menu, considering all of the above I’d give the butterfly burger a 6 out of 10. Not too shabby for a fast food restaurant in disguise.